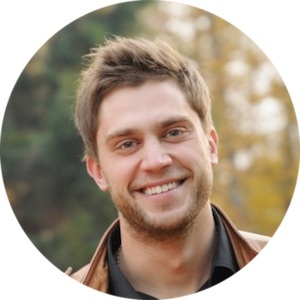 Take a walk in the most beautiful parks of the greenest metropolis in Europe, enjoy delightful panorama view of the Dnieper river and visit the places that have become city landmarks. In 2017, Kyiv was recognized as the greenest metropolis of Europe with the best Normalized Difference Vegetation Index (NDVI). However, it is not necessary to perform mathematical calculations to make sure of this. Just go to the Dnieper slopes and look around! 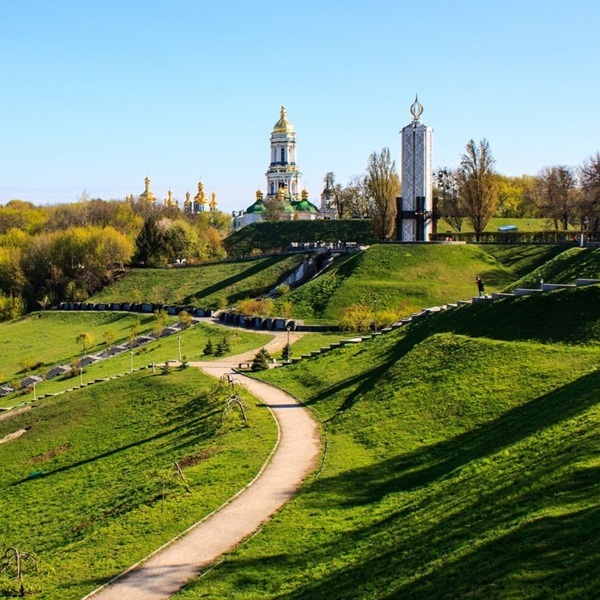 The most famous Kyiv parks are located along the Dnieper river. At the end of the 19th century they were united into a green zone, which stretched from the Vladimir hill to Goloseevo district. You will walk along the central part of the historic park complex. It has been one of the most favorite rest areas for Kyiv citizens and guests for almost 200 years. You will visit the best lookouts with fascinating views. Founded in 1882 as the Merchant Assembly garden. Today it is one of the most romantic places in Kyiv. 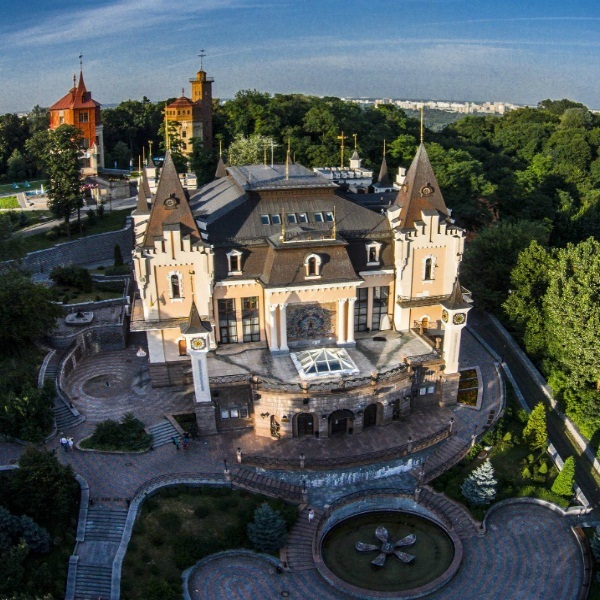 The National Philharmonic of Ukraine, the Water Museum, the Arch of Diversity, the Lovers’ Bridge and the Monument to Everlasting Love are located in the park. 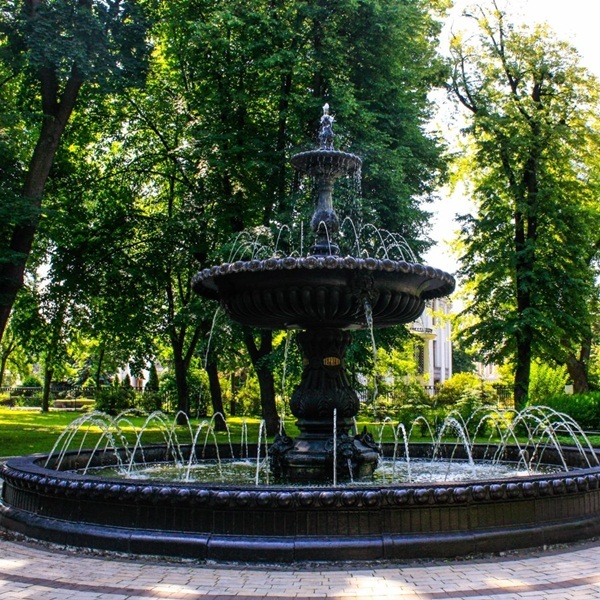 The oldest Kyiv park established in 1743. The fruit trees were planted and the flower greenhouses, called “The Valley of Roses” were arranged on the site of the current Dynamo football stadium. 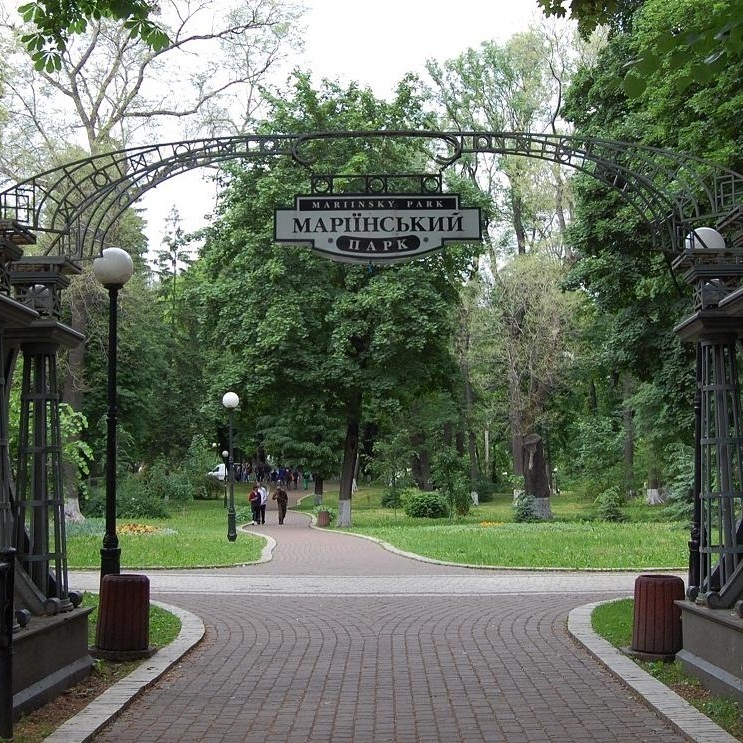 The park near the Mariinsky Palace is one of the historical Kyiv sights. This English landscape style park was founded in 1874. More than 80 tree species, some of which are already several hundred years old, can be found here. The Monument to Chestnuts, a plant symbol of Kyiv, was built in the Mariinsky Park. The suburban palace of Prince Vladimir the Great, who baptized Kievan Rus in 988, was located in this historical area. The first park was founded here in the late 19th century. In 1956, the territory was reconstructed and became the Park of Eternal Glory to the Soldiers of the World War II. You can enjoy a breathtaking view of the Dnieper river and the eastern districts of Kyiv from the park observation point.